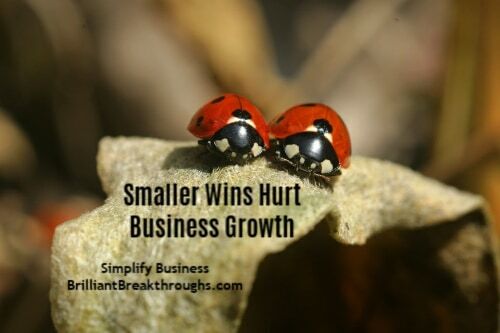 Smaller Wins Hurt Business Growth - Brilliant Breakthroughs, Inc. Smaller wins happen. If they happen everyday your business may be shrinking. Smaller wins are everywhere in small business. If you are hacking your business, chances are you’re hacking YOUR Business’s Performance and ultimately its growth potential. Settling for smaller wins means you start to accept your To-Do List as victorious moves, instead of basic completions. OK, in some cases it may be, but probably not on most days or every day. I see many Small Business Owners (SBOs) confusing the two! What is a smaller win and what isn’t? Victorious moments come when you’re working a breakthrough. Think back to the days of warriors and swordsmen. The soldiers didn’t stop and say “victory” after they slayed an individual enemy. They were victorious when they were complete and could advance. It think it’s the advance part that is most important to focus on for today’s topic. How did we make our T0-Do List the ultimate list? 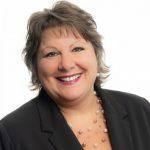 Looking back over the recent past history of business, I see a pivotal moment of this is when we began downsizing. Specifically, when business commonly had secretaries or assistants to take away all the To-Do List items. Today, it is commonplace to see SBOs doing it all. Thus, their productivity levels are decreasing while their busyness is increasing. Worse yet, we want to feel accomplished so we keep piling more onto our To-Do List instead of working on the things which will directly alter business’s performance and success rate! FYI: This is why virtual assistants are so hot right now. It’s time to stop settling for the small wins friends. It’s time to see the infamous To-Do List as it is – simply support. Without doubt I share, accomplishing your support list is great and necessary every day. It allows you the space on your schedule to advance your business and concentrate on its revenue generating projects. Right now I’m personally aware of several SBOs who are amidst revamping their business model and offerings, myself included. The only way I’ve been able to create the bandwidth to create space to do this is to change my mindset and behavior about my To-Do List. I see it for what it is – something to complete so I can get onto my real work for business success. It’s time to change the relationship you have with YOUR To-Do List. With Right Thoughts and Right Actions, you can do this with minimal effort. Identify the infamous TO-Do List as your support – not the revenue generator of your business. Then adjust your actions to swiftly give it the time it needs so you can move onto the projects that truly advance Your Business. Observe yourself. Be more mindful as you make this change. You will slip, and want to settle for the smaller wins because that’s been your habit. When you notice yourself slipping, catch yourself. Make appropriate adjustments. This one change will make a huge difference in how your year-end looks and what you’ll be celebrating during the Holidays! Feel free to share in the comment section keeps you in the smaller wins instead of working on what advances your business.